Discussion in 'UFC Discussion' started by FMAxBoxing, Aug 2, 2015. And she has been doing this to women who were either undefeated beforehand or pioneers of WMMA. Lets look at Cyborgs notable wins. Carano, who she beat juiced up. Bayzler, who was overrated in the first place. Coenen, someone who has lost to elite and non elite competition. And it took Cyborg an average of about 10 minutes to beat them. And lets be real, Cyborg has been fighting over matched tomato cans as of late.....so of course she would look good. Cyborg is a great fighter, def top 5 in the WMMA all time list.....but I just don't see how she can beat Ronda Rousey. This. The talent gap is huge. Other than cm punk, I don't think there is a guy in the UFC as low tier as Bethe? They wouldn't be in the UFC. Bjj blue belt, no wrestling experience etc. not only is she a UFC fighter she was ranked! Rousey is scared to fight anyone with a pulse. She did do a good job of showing how low level her friends are. let's be real here. if cyborg touches ronda, she's going to sleep. i agree ronda has the better wins via name/comp. But ronda didnt drop to 135 because she knew dana was picking it up. Let's be real... Cyborg hasn't put anyone to sleep. 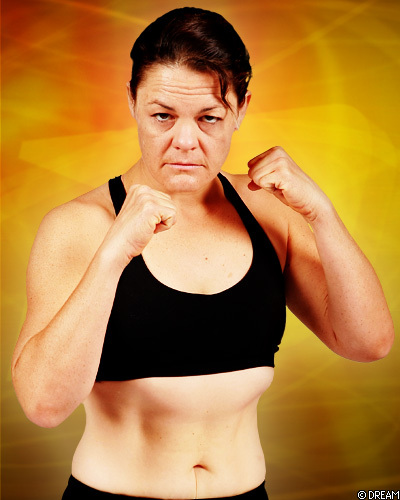 She has mauled and overwhelmed unprepared 125 lbers to TKO stoppages, but it's not like she has lightning in her hands. It took Cyborg 2 rounds to finish Jan Finney and Bayzler. Ronda isnt a can.....and I think she would take Cyborgs arm home. Cyborg needs to commit to making 135 so she can challenge that division's champion. Then get used to the idea of having a screwed up arm.